Hi friends!! 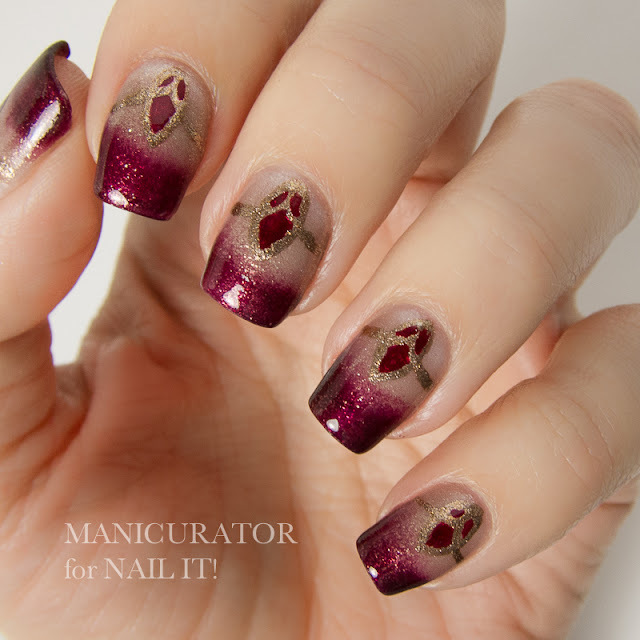 Coming to you today with a Holiday feel, mani! I really didn't know what to call these, but I was aiming at creating decorative ornaments. I think they also look like stained glass. I created this design for Nail It! 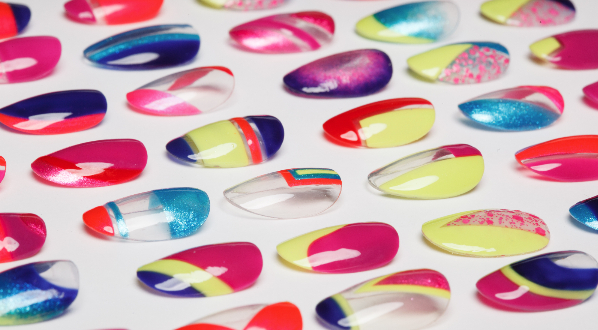 Magazine and you can find these with a mini tutorial on the nailitmag.com website right now! I showed you two shades already from Dior's stunning Golden Winter collection, with an elegant triangle tip mani. Today I have the three Diorific shades I received: Minuit (golden plum), Frimas (sparkling pink taupe) and Winter (subtle sparkly white). Each more lovely than the last. These were created to invoke an enchanted Winter feeling inspired by lustrous gold that brings to mind the grandeur of Versailles. 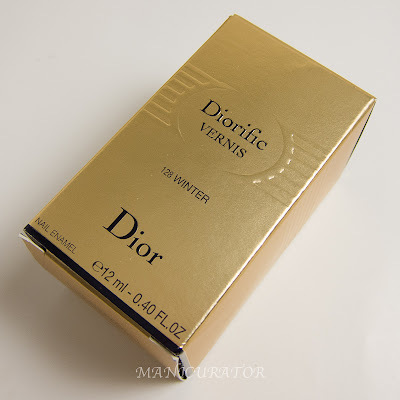 You can always expect the packaging to be luxurious if you are splurging on a Dior! First shade I'm showing you is Diorific Winter 128 - A shimmery white that has a beautiful subtle sparkle. My photos do not do it justice. I have on 2 coats here, as I knew I was going to add to it and didn't need another coat. You can see with two coats there is still visible nail line. No issues whatsoever with formula or application, as you would expect. 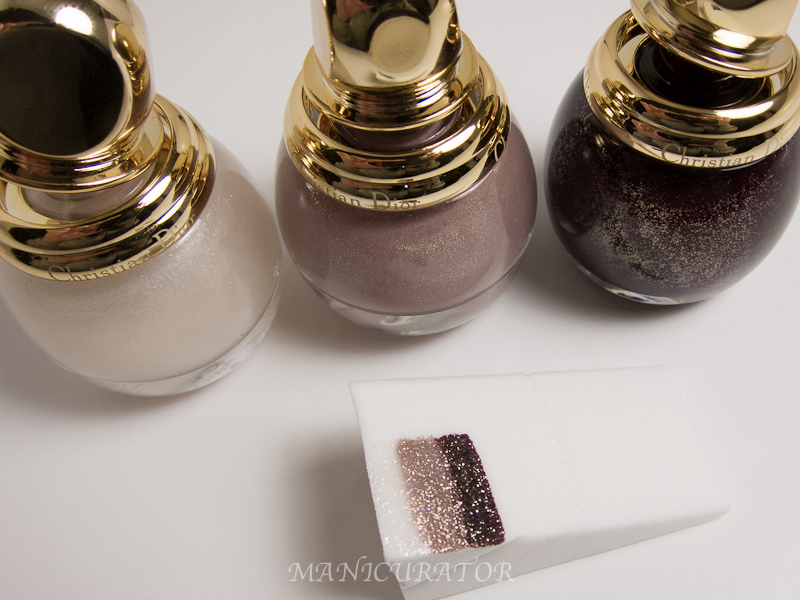 I used the makeup sponge pictured above to sponge on layers of these three, (over the base of 2 coats of Winter). I adore how this turned out! Closeup of the gradient with Diorific Minuit 995 bottle shot. Closeup of the gradient with Diorific Frimas 318 bottle shot. 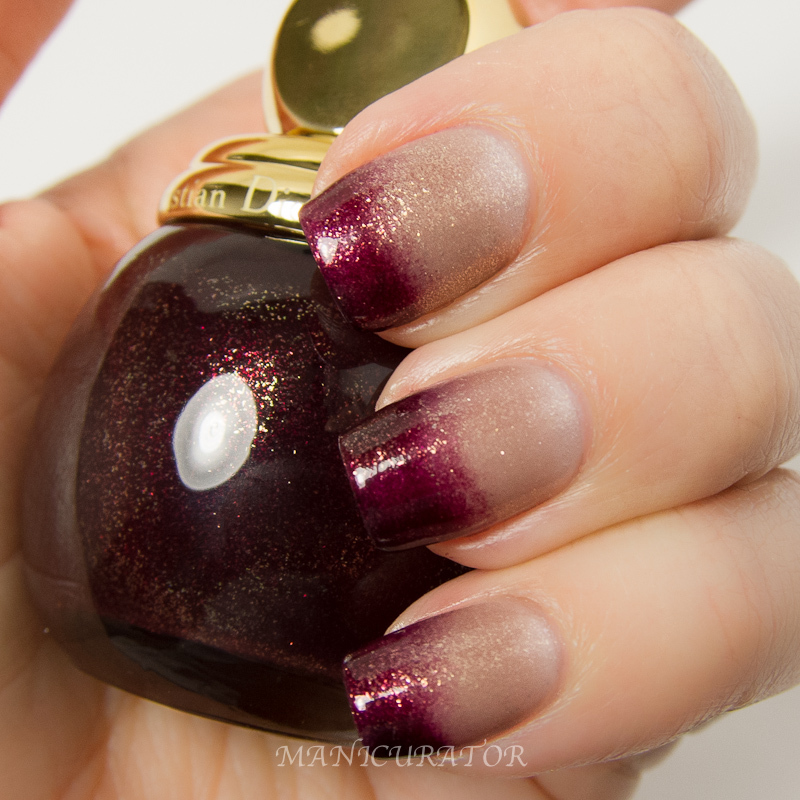 Closeup of the gradient with Diorific Winter 128 bottle shot. 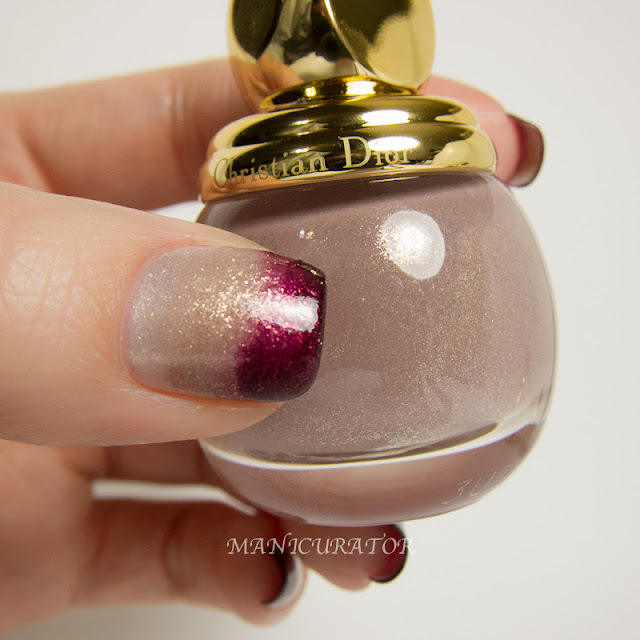 A swatch of Diorific Minuit 995 on its own. 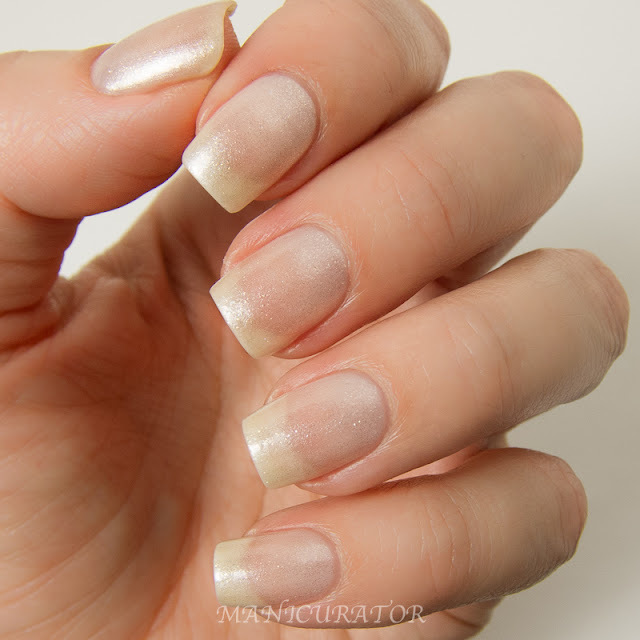 You can see more of this gorgeous shade previously posted in this elegant nail art look. Two coats of perfection. A swatch of Diorific Frimas 318 on its own. Two coats shown here, again no issues with formula or application. 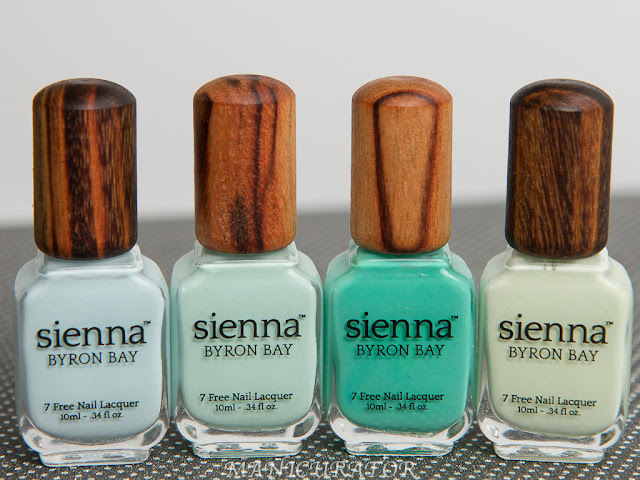 This is a beautiful shimmering neutral, perfect year round of course. All swatches are shown with Diorlisse Ridge filler and Dior Top Coat. Dior Diorific Vernis ($26 for 12 ml/0.40 fl oz, limited-edition) can be found at Dior.com, and on counters worldwide. I love this nail art!! And Frimas is gorgeous! Absolutely gorgeous, I'm in awe! Oh, Dior...how I love you! :) Beautiful nail art, as usual!! I love everything about this post!! That manicure is perfect!!! Don't you just love China Glaze's Goldie But Goodie as a nice solid gold glitter?! I have it on my tips right now!! Wow, this is so elegant! 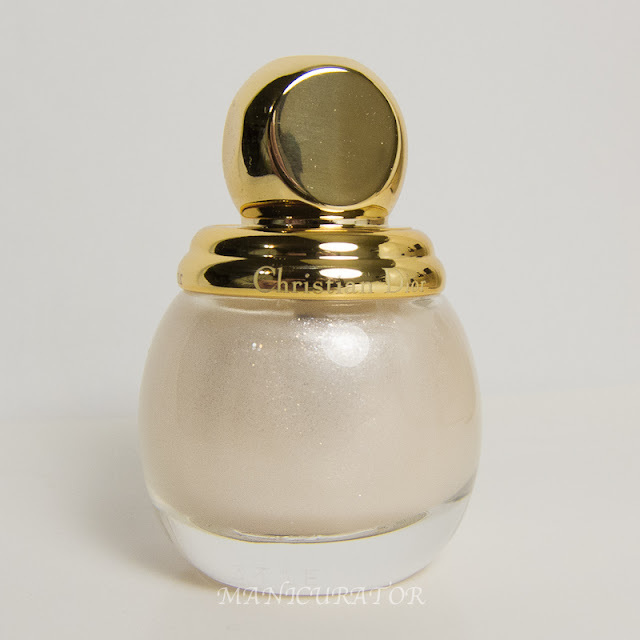 Frimas looks like it would be fabulous for someone who has to wear conservative polish at work but wants some shimmer.